Halliwell Jones is a family-run business that specialises solely in selling BMW and MINIs. They have 11 dealers located throughout the north west of England and north Wales, selling new and used vehicles. Halliwell Jones dealerships also offer vehicle servicing for their brands and MOTs and repairs, as well as providing finance options for buyers. The company stock a range of models from the BMW Series, and a strong selection of MINI Coopers, from the classic Hatch, to the beefier Clubman and Countryman models. If you’re looking to buy a BMW or MINI, then Halliwell Jones could help you find your perfect car. Under Managing Director Phillip Jones, Halliwell Jones opened their first dealership in 1987 in Southport. Over the years, the family run business has grown from a single dealership to 11, going from 15 members of staff to 600. They have sites in Chester, Warrington and Llandudno, amongst other locations. In 2003, the company partnered with Warrington Wolves Rugby League Football Club to become the naming rights sponsor of their new stadium. To this day, Warrington Wolves continue to enthral their fans at the magnificent Halliwell Jones Stadium, whilst Halliwell Jones dealerships continue to provide a variety of great cars and services. 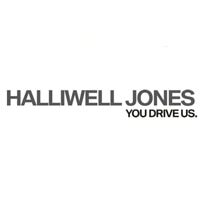 Aside from other services, Halliwell Jones sells new and used BMWs and MINIs, and will sell your car if it is part of these brands. The company has got a vast selection of models for both marques, such as coupes, convertibles, and saloons like the BMW M3. The BMW series ranges from, but is not limited to, the X1, the Z4, and the 1 Series, all the way through to the 7 Series. MINI-wise, there’s everything from the MINI Cooper Convertibles, to the MINI Paceman and the MINI Cooper Roadster. In short, Halliwell Jones has your BMW and MINI desires more than covered.